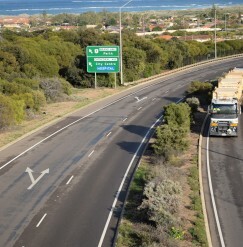 Quality Traffic Management (QTM) has secured the City of Greater Geraldton’s traffic management contract until 2020. It was QTM’s 20 years’ experience and its commitment to recruiting local accredited personnel, including a full-time supervisor, that will see the business re-establish a depot in the region. Associate Director, Todd Bendall, said that QTM was already mobilising in the region and making the necessary arrangements to recommence services immediately. “We are delighted to be given the opportunity to re-invest in the Midwest region. “QTM has a great relationship with the City of Greater Geraldton and we’re looking forward to working with their team over the next few years,” he said. The contract also commits QTM to reinvesting back into the local community through sponsorship of key local organisations.